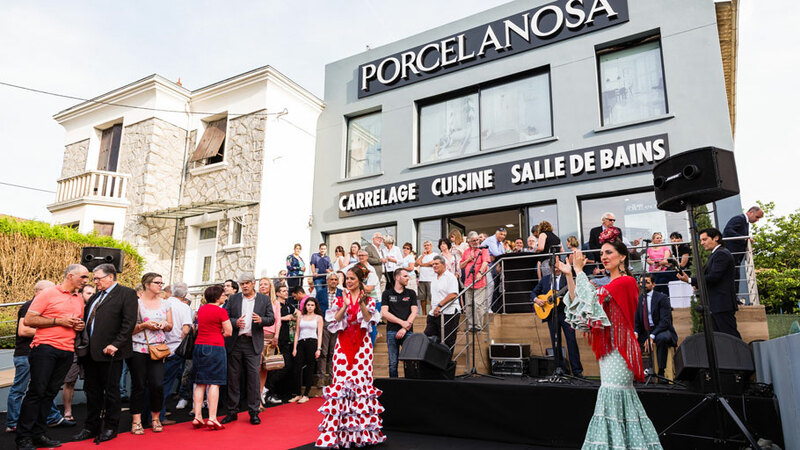 On the 9th of last June, the French town of Boulazac was decked out in order to officially open the new showroom from the PORCELANOSA Grupo in the town, near the capital of Perigord. 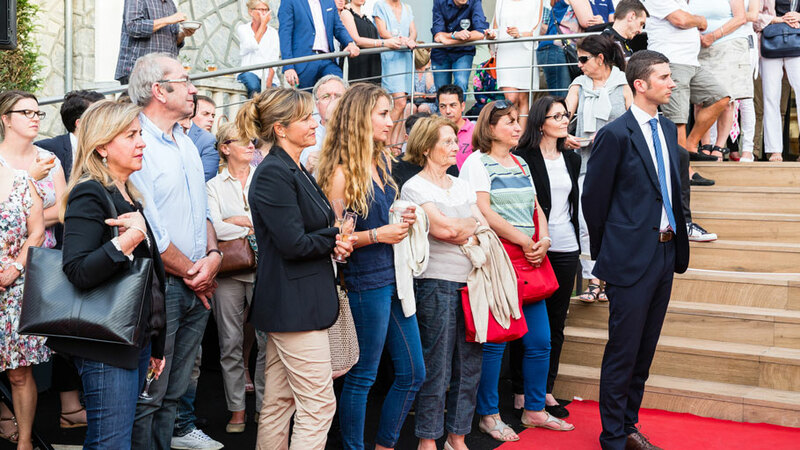 The Group Executive Vice President, Silvestre Segarra, attended the event, and he was accompanied at the meeting by representatives from the Boulazac City Council. 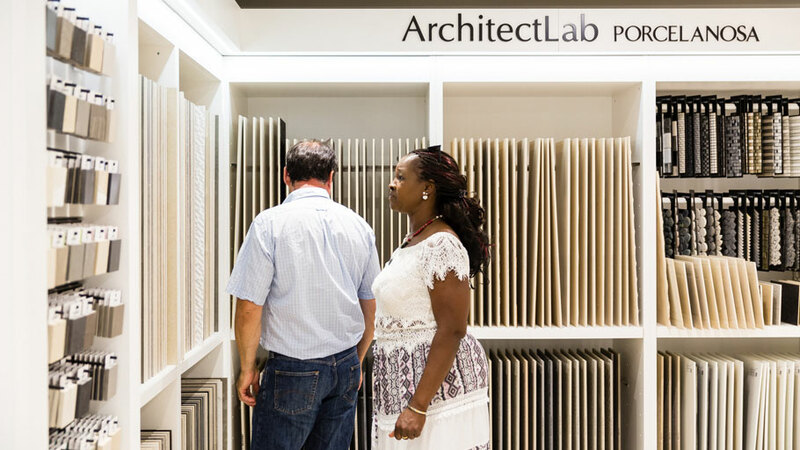 Although the official opening is being held now, it was earlier this year when the new showroom in Perigueux was opened, offering this area in central France the latest in floor tiles and wall tiles, as well as the highest quality and innovation in bathroom equipment, kitchens and building systems. 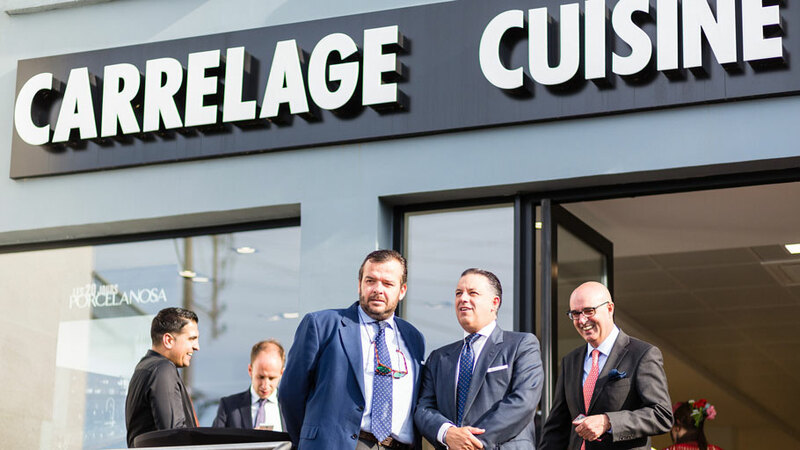 This showroom is located on the road to Lyon in Bouzalac, on the outskirts of Périgueux. It should be noted for its unique grey facade, as well as its masterful use of the ceramic parquet from PORCELANOSA Grupo inside. 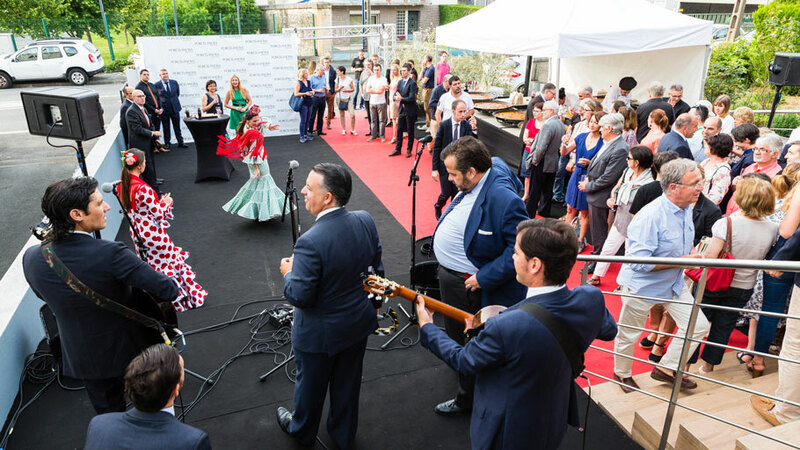 The new Perigueux showroom opening was attended by about 150 guests. 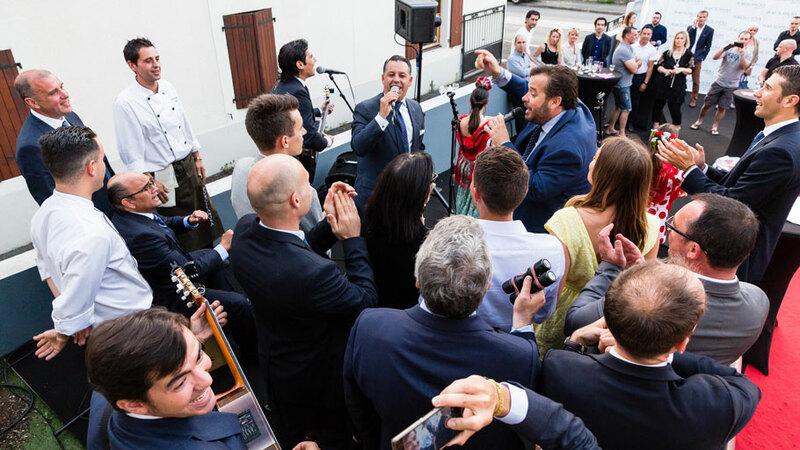 All of whom enjoyed a pleasant evening, whilst listening to the sounds of Spanish flamenco. 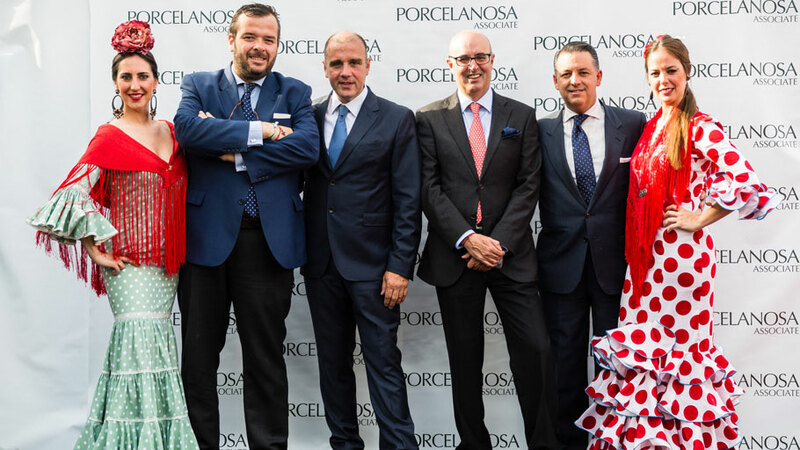 A welcome cocktail greeted the attendees, who were able to enjoy a delicious paella, courtesy of the chefs from the PORCELANOSA Grupo. 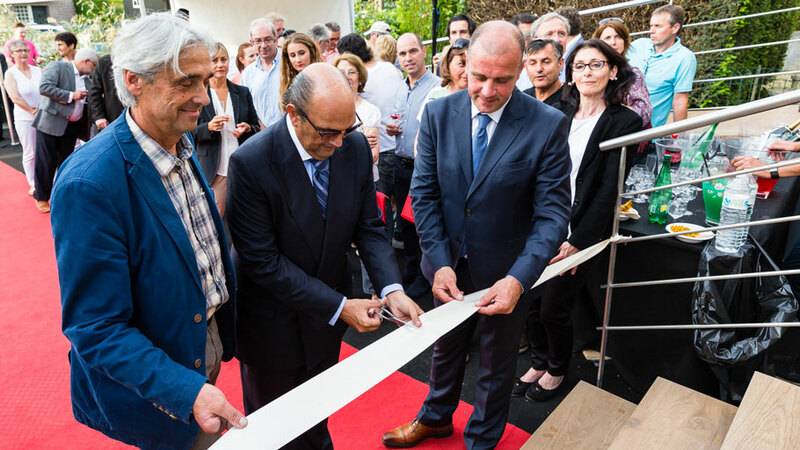 The firm has strengthened its presence in France after this recent opening, together with the one in Saint Etienne, in the south-east of the country. Perigueux is a prime location for commercial positioning for the Group in this country, given both its historical and artistic relevance with an important historical heritage. This city acquires its importance additionally thanks to it being located in St. James’ Way, as well as its Byzantine-style cathedral, the Saint-Front Cathedral, UNESCO World Heritage.